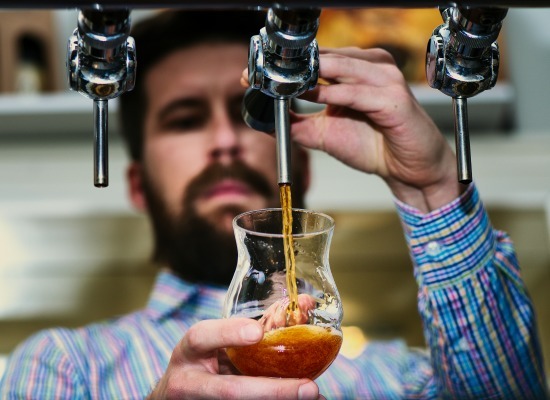 Beer lovers staying with us at our Coeur d’Alene inn will be delighted to hear about all the best breweries nearby. Let us guide you to the best of them and ensure that your Coeur d’Alene getaway is one to remember. 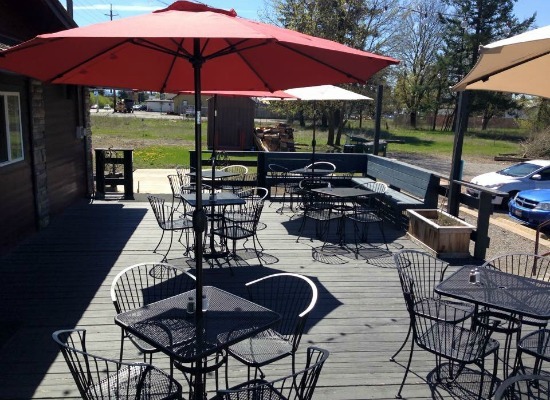 Just 1.2 miles from the inn, Slate Creek Brewing Co. is a true local gem! It’s a favorite for craft beer enthusiasts. Enjoy hand crafted ales and more. Join us and find your new favorite brew! 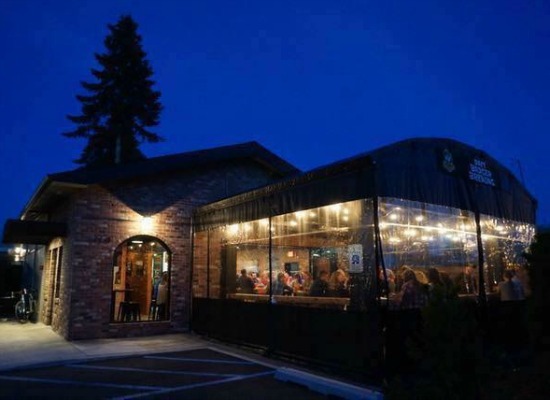 Daft Badger is a must stop for beer lovers in Coeur d’Alene! 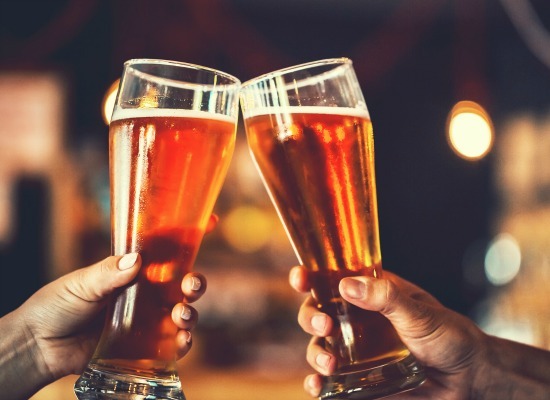 Come savor selections from a robust beer and restaurant menu and enjoy heated outdoor seating, all just 1.2 miles from the inn! 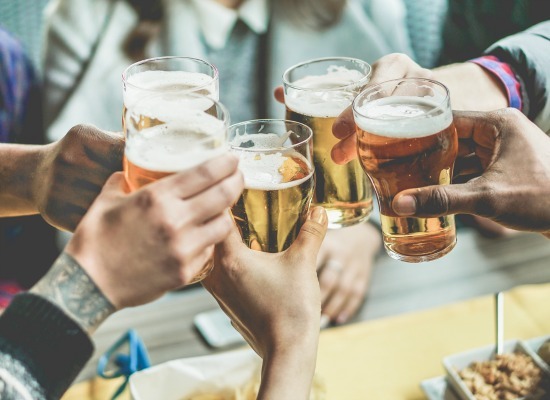 1.9 miles from the inn, you will find The Growler Guys, a huge selection of beers on tap to be enjoyed with fabulous foods like pizza, wings, and nachos, and your new favorite place to have a drink. 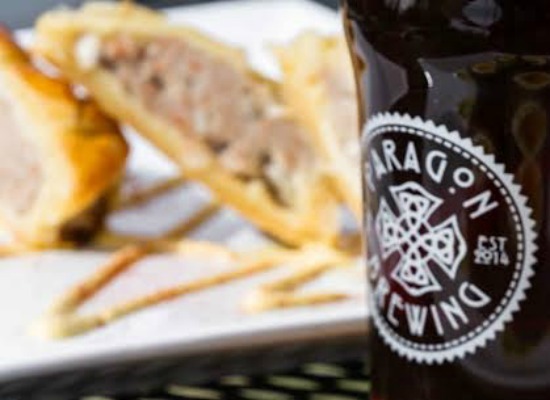 Located just 3.3 miles from the inn, Paragon Brewing is known for a fun and casual atmosphere with delicious food and brews at affordable prices. Come enjoy some of the best craft beer in the northwest! You won’t be sorry. Tricksters is located 3.7 miles from the inn and offers amazing and unique brews like summer ales, amber ales, and IPAs. 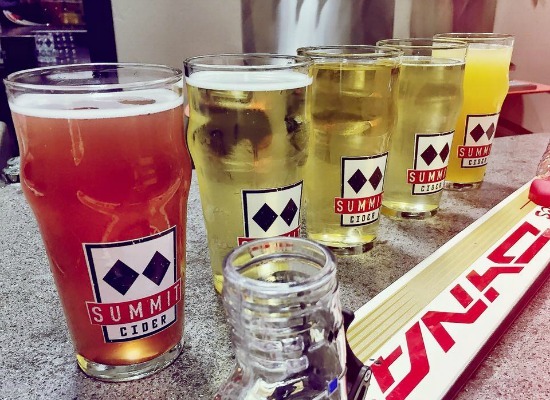 Established in 2014, Summit Cider was the first hard cider company in the state! It is now known as Idaho’s premier cider house. Come experience the unique ciders in their taproom, just 3.9 miles from the inn. 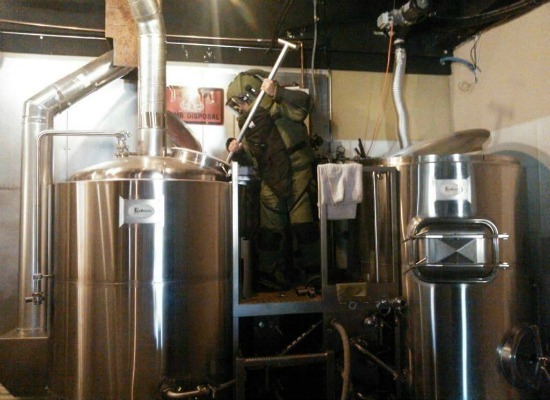 Mad Bomber is located 6 miles from the inn and features delicious craft brews from a company with a lot of heart and a cozy, fun atmosphere. I was driving down the road the other day and as I was approaching a stop light, I saw a car ahead of me with writing in the back window. I automatically thought they had just gotten married. However, as I got closer, I saw that it said “Still Married” instead of “Just Married”! What a novel concept, I thought! Love and marriage is a journey and every part of it deserves to be celebrated. 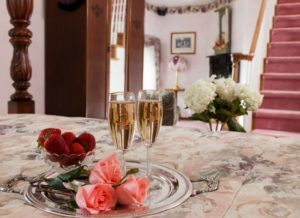 Whether you have been married for 1 day 11 years or 31 years, celebrate the success at our Coeur d’Alene bed and breakfast. 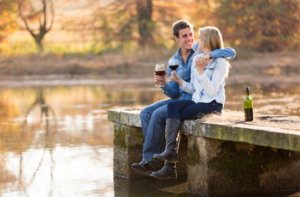 Having a date night or embarking on a romantic getaway to keep the romance alive is important in every stage of a relationship. Come spend a romantic night or two with us and celebrate love. 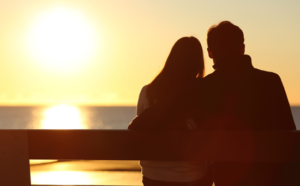 We have some wonderful packages available so check our availability and surprise that special someone in your life. Farragut State Park, one of the state’s many beautiful preserved patches of land, is about 20 miles north of Coeur d’Alene in northern Idaho. During World War II, the land functioned as a training station for sailors in the US Navy, but now, it is an expansive park used for camping which boasts 223 individual camp sites, 10 cabins for overnight stays and 7 camps which can accommodate groups. The state park encompasses 4,000 acres of beautiful northern Idaho and is open year round with a number of amenities for campers to use. Whether staying overnight or just stopping by for the day, a visit to Farragut State Park is sure to be of interest to the whole family. Docks and a boat launch are available for those who would like to spend time on the water fishing or just enjoying a sunny day. 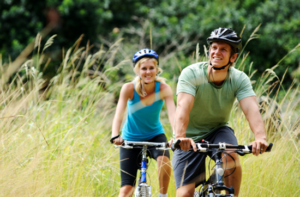 Hiking and biking trails provide a scenic view of flora and fauna. Orienteering lets aspiring survivalists hone their skills, while disc golfers, archers and model plane pilots can all enjoy the expanse of space the park has to offer. The fascinating Museum at the Brig offers the opportunity to learn all about the World War II era naval training station, which was the second largest of its kind in the world. A family overnight trip to Farragut State Park can be a fun adventure for the whole family. Arriving midday, you can set up camp and get ready to head out for some fun in the sun. Hike the trails and head out onto the lake to catch some fish, and then head back to shore to cook them up over the fire. Rent some horseshoes and a disc golf set and unwind at your campsite, enjoying a fire grilled meal and family games before a night spent under the stars. If your wanderlust brings you to Coeur d’Alene and you’re ready to put down stakes and go camping, pay a visit to Farragut State Park. Fish for bass and trout, observe white tail deer and mountain goats in their natural habitat, and learn more about American military history all while enjoying camping that features electricity, flush toilets, showers and a dump station. If you want to experience all the best wildlife and outdoor recreation that the Pacific Northwest has to offer, spend a night camping in Farragut State Park. Statuesque Ponderosa Pine and Douglas Fir trees guide visitors down the shady paths and rocky overlooks that make up the beautiful Mineral Ridge trail. For visitors to the Coeur d’Alene area who want to experience all of the beauty there is to behold but don’t necessarily love swimming and boating, Mineral Ridge is a perfect scenic hike for wildlife observation, photography, exercise and family fun. 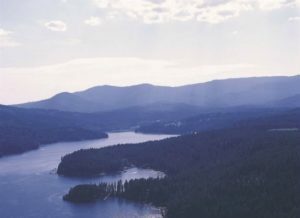 The trail spans 3.3 miles, and ends in a stunning overlook gazing out upon beautiful Lake Coeur d’Alene. The overlook gives a spectacular view from 700 feet above the crystal blue lake, a unique vantage point inaccessible by any other method. The Mineral Ridge trail leads visitors in a slight ascent as they explore the wooded wilderness, fluttering birds, chirping squirrels and playful deer all tucked away in their nests. There, they are granted a unique view of the wide variety of plants and animals native to northern Oregon. As they ascend, visitors have a lovely view of the area around Lake Coeur d’Alene, with dense forests and foggy mountains painting the distance in rich living color. Hiking Mineral Ridge is a unique experience, not to be missed. Aside from the natural inhabitants, visitors can also view an abandoned mine created before the United States legally forbade private mining on federal land in 1920. Only 11 miles to the east of Coeur d’Alene, the Mineral Ridge Trail is a perfect day getaway for nature lovers of most skill levels. The trail’s gentle ascent is manageable for most, and the trail head provides a charming picnic area where friends and families can share a meal after an exciting day of hiking the trail. A journey down the Mineral Ridge Trail is a wonderful opportunity to observe Idaho’s wildlife in their natural environment, learn about the remarkable ecosystem of the Pacific Northwest and get away from the hectic hustle and bustle of day to day life. 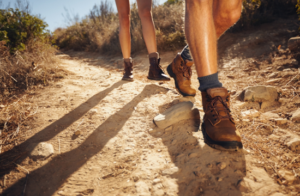 If you are a nature enthusiast visiting the Coeur d’Alene area and are looking to check out local hiking trails to make the most of your trip, hiking the Mineral Ridge Trail should definitely be on your to-do list. With a picturesque view that can not be obtained anywhere else, Mineral Ridge Trail is the perfect place for photography, meditation, quiet time and an incredible view of the power of nature. Coeur d’Alene is changing it’s name for a weekend to “Car d’Lane”. During Father’s Day Weekend our town is converted into a 1950’s American Graffiti look-a-like! Enjoy three days of unique events and good old-fashioned fun. Celebrate Father’s Day with the special dads in your life and bring them to this fun event in Coeur d’Alene. 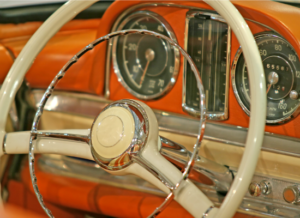 Cruise Friday, June 17, 6pm-9pm – Get a good look at each 1975 and older cars and trucks as they make their way down the street. Show Saturday, June 18, 8am-4pm – Get a chance to get up close to these amazing cars and trucks and their engines! There will even be an auction on Sunday, if you want to take one home, this event is a car lover’s dream vacation! 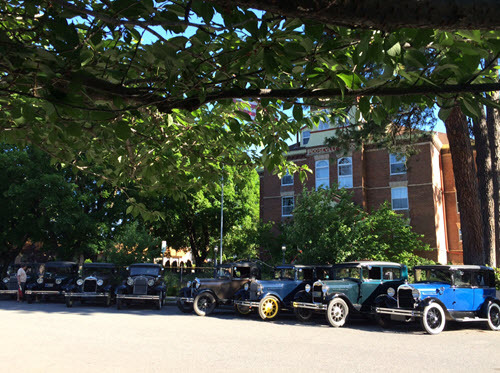 We were lucky enough last year to host the Billings Model A Club, and even got to go for a spin in some of these remarkable vintage cars. I don’t think our building ever looked so good as it did that morning with all those beautiful cars parked our front as they gave our staff a horn salute as they drove off into the “sunrise”. Stay with us and experience this favorite event for yourselves. 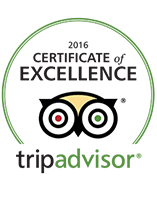 We would love to share the experience with our valued guests, both old and new. Coming to town for these amazing car events? 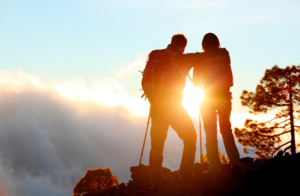 Book our Adventure Package and enjoy a two night stay with an adventurous outdoor activity! Check our availability and book today. Seasoned golfers love the courses offered in northern Idaho, and the Circling Raven Golf Course is no exception.The award winning 18 hole course features reasonable rates for a round of golf or two, a high quality pro shop for all your equipment needs, a rotation of special events, and, for a bite to eat after that round of golf, the Twisted Earth Grill is there to make you a delicious lunch or dinner. The Circling Raven golf course spans the beautiful northern Idaho landscape, with purple mountains seated in the distance and lush pines blanketing the edges of the course. Natural hills and curves provide interesting obstacles to challenge even the most experienced golfer. The crisp, clean air, crystal blue water and cool temperatures seem to entice players to continue on through the beautiful course, seeing all that the Pacific Northwest has to offer. Expansive blue skies and snow capped hills complete the landscape that has drawn so many golfers to play at Circling Raven. 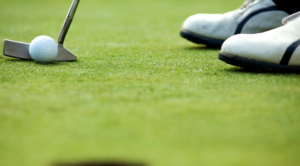 If you’re a golfer who appreciates all the splendor the Pacific Northwest has to offer and are planning on spending time in the Coeur d’Alene area, spend a day enjoying the magnificent landscape of the Gem State at the Circling Raven golf course. The 18 award winning holes are sure to give you a game of golf you’ll never forget, and the remarkable visuals will stick with you for years to come. 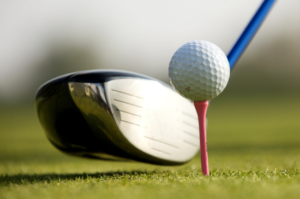 Book your stay at our luxurious Coeur d’Alene bed and breakfast in the heart of downtown, and we will assist you securing tee times for the ultimate golf getaway in Idaho! Running from Montana westward across northern Idaho into Washington state, the Trail of the Coeur d’Alenes is a scenic bike trail that is beloved by pedal pushers near and far. 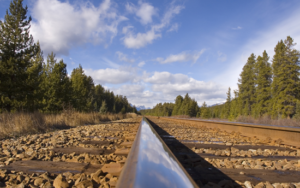 The trail follows the tracks of the Union Pacific Railroad across the state, and for visitors to Coeur d’Alene, it is an easy access trail that features all the natural highlights of the Pacific Northwest from plants to animals. 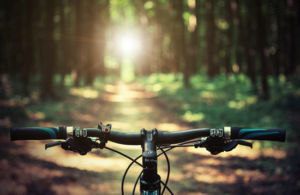 The trail spans 71 miles and is paved for non-motorized vehicle use, making it the perfect spot for a long, scenic bike ride through the Gem State. Winding through the mountains and down into Silver Valley, the trail provides a challenging ride that is still family friendly. Throughout the trail are a variety of attractions that riders can stop to see while learning about the Native Americans that once lived in the area as well as the mining and railroading industries that once thrived there. Plenty of northern Idaho’s wildlife make themselves known on the trail, including moose, beavers, coyotes, otters and birds of prey. The Douglas Firs and Ponderosa Pines that line the bike trail are hallmarks of the state’s beautiful, dense forests. For someone who loves adventure and history, it wouldn’t be out of line to dedicate a few days to exploring the trail from start to finish. Whether high atop a mountain, low in a valley or pedaling through the prairie, the natural wonders of the Gem State will unfold before your eyes, giving you a glimpse into the wonder of northern Idaho. Plan to explore those steep overlooks one day, and return the next for a picnic in the valley. Document your journey in photos, and create an adventure you’ll never forget. For an intrepid adventurer paying a visit to the Coeur d’Alene area, the Trail of the Coeur d’Alenes is a spot that should not be missed. The trail is packed with opportunities to learn about Native American and American Industrial history as well as to observe the richly populated land for native wildlife and plants. Setting forth on a journey on this lengthy trail requires dedication, but riders are rewarded with incredible sights and amazing memories. Hike the Trail of the Coeur d’Alenes to swim in Heyburn State Park, visit the Center of the Universe and experience Idaho like you’ve never seen it before. 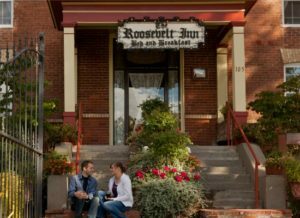 Book your stay at our historic Coeur d’Alene bed and breakfast in the heart downtown for the ultimate getaway! Only minutes from our downtown Coeur d’Alene’s bed and breakfast, a majestic wildlife preserve holds all of northern Idaho’s most beautiful treasures. Cougar Bay Preserve contains 88 acres of verdant lakeside land, with emerald hills and a sapphire waterfront creating an ideal environment for Idaho’s precious wildlife. 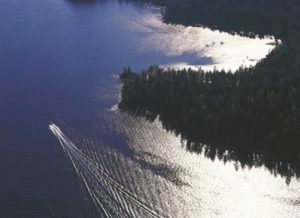 Nature trails run throughout the preserve’s dense pine forest and around beautiful Lake Coeur d’Alene’s northwestern shore. Waterfowl migrating North in Spring raise their young beside the lake, as do the beaver and otter native to the area. Deer and moose are also commonly spotted among the trees, a joyful sight as they gently graze in their habitat. Visitors to th e Cougar Bay Preserve have at their fingertips a source of endless potential; there, they may enjoy a stroll along five miles of beautiful winding hiking trails. On the trails, they will find countless opportunities to observe and photograph the flora and fauna of northern Idaho in its most healthy and natural state. For those in search of an adventure, kayaking and regulated fishing are permitted in bordering Lake Coeur d’Alene. The pristine preserve is a regarded spot for bird watchers- many different species of waterfowl, songbirds and shorebirds make Cougar Bay their home. The preserve is a popular spot for nature lovers visiting Coeur d’Alene, and for good reason- open in every season and close at hand for traveling, Cougar Bay is a fantastic spot for families. Children will love experiencing the amazing birds and other wildlife that thrives in the Gem state while adults will marvel at the majesty of nature and enjoy the serenity of open air. 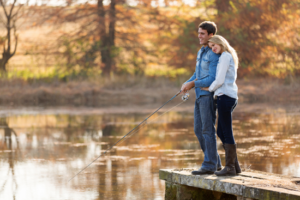 A trip out onto the lake to fish can bring memories the whole family will never forget. Family photos from this trip will be a beloved addition to albums with this unique natural backdrop. 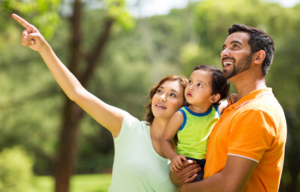 Book your family vacation to Idaho at our family-owned Coeur d’Alene hotel today, we offer several family-friendly suites! The forests and lakes of northern Idaho offer many hidden gems for those who seek them, and Cougar Bay Preserve is one of the best. Conveniently adjacent to downtown Coeur d’Alene, Cougar Bay is a must visit on any trip to the area. Plan to spend a day of your trip on this gorgeous piece of land to really take it in. Pack a picnic lunch and a blanket, put on your hiking shoes, grab your camera and your fishing pole and head down to the preserve for a day of hiking, fishing and fun you will never forget!